This still image from video provided by NBC Boston shows wreckage after the Billerica crash. The employee who struck and killed three people at a Billerica auto auction Wednesday was driving with a suspended license, the Lynnway Auto Auction said Friday. The Middlesex County District Attorney’s Office has not identified the driver, a longtime auction employee in his 70s. 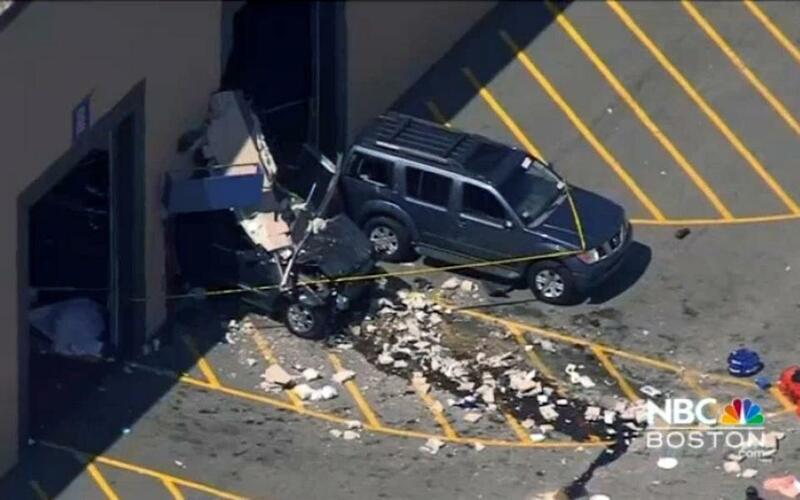 During the company’s weekly auction, the Jeep Grand Cherokee suddenly accelerated into a crowd of people before crashing into a cinderblock wall. Police informed the company about the driver’s suspended license, company officials said. Lamb said the company was “surprised and upset” to learn of the development. Lamb did not say why the driver’s license was suspended. On Thursday, officials identified the three people who died — Brenda Lopez, 48, and Pantaleon Santos, 49, both of Rhode Island, and Leezandra Aponte, 36, of Lowell.